Paint a mural. Start a battle. Change the world. Sierra Santiago planned an easy summer of making art and hanging out with her friends. But then a corpse crashes the first party of the season. Her strokeridden grandfather starts apologizing over and over. And when the murals in her neighborhood begin to weep real tears... Well, something more sinister than the usual Brooklyn ruckus is going on. 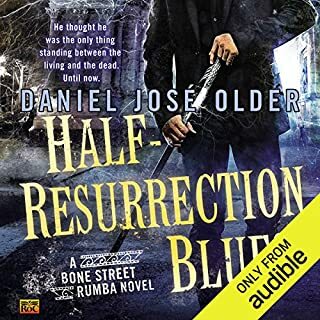 Carlos Delacruz is one of the New York Council of the Dead's most unusual agents - an inbetweener, partially resurrected from a death he barely recalls suffering, after a life that’s missing from his memory. He thinks he is one of a kind - until he encounters other entities walking the fine line between life and death. One inbetweener is a sorcerer. He's summoned a horde of implike ngks capable of eliminating spirits, and they’re spreading through the city like a plague. The extraordinary sequel to the New York Times best-selling Shadowshaper is daring, dazzling, defiant. Sierra and her friends love their new lives as shadowshapers, making art and creating change with the spirits of Brooklyn. Then Sierra receives a strange card depicting a white beast called the Hound of Light - an image from the enigmatic, influential Deck of Worlds. The Deck tracks the players and powers of all the magical houses in the city, and when the real Hound begins to stalk Sierra through the streets, the shadowshapers know their next battle has arrived. Sierra and Shadowhouse have been thrust into an ancient struggle with enemies old and new - a struggle they didn't want, but are determined to win. Revolution is brewing in the real world as well, as the shadowshapers join the fight against systems that oppress and incarcerate their community. To protect her family and friends in every sphere, Sierra must take down the Hound and master the Deck of Worlds...or else she could lose everything that matters most. 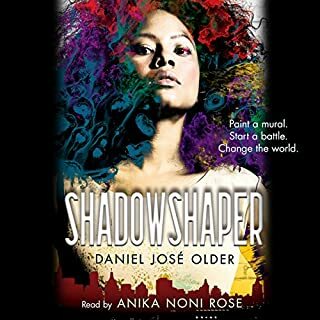 ©2017 Daniel José Older (P)2017 Scholastic, Inc. Loved this book! Anika Noni Rose is phenomenal in her embodiment of the characters. Older writes with an authenticity and wit that is sorely missing in YA. Can't wait for the third book! Anika’s narration is fabulous. She gives each Chaka distinct voice and does it very well. A good story made great by her narration. What made the experience of listening to Shadowhouse Fall the most enjoyable? ok, so Anika Noni Rose reads it, so of course the voices are full and real. Especially Sierra Santiago, the young Afro-Latina protagonist. 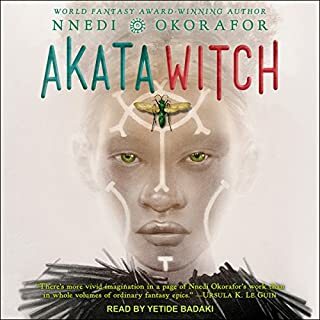 Sierra and her friends get swept up in a battle of magic that also has to do with family, community, ancestors, artmaking, archives, and colonialist ethnography. Yup, Older gets teen agency, humor, magic, romance, and politics effortlessly into a story you can't put on pause. 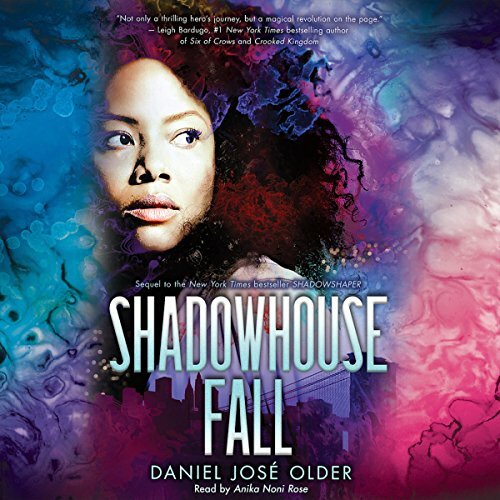 What other book might you compare Shadowhouse Fall to and why? It feels so fresh, it's hard to compare, quite honestly. What about Anika Noni Rose’s performance did you like? Rose brings to life a huge variety of characters without ever drifting into stereotype or caricature. She brings life. Yes I laughed, yes I cried, yes I learned, yes I can't stop telling everyone to read/listen. This was an awesome story read by a great narrator. I am so glad a friend recommended the first one. The narrator does a magnificent job bringing the characters to life in a fun and adventurous story of Magic and intrigue. 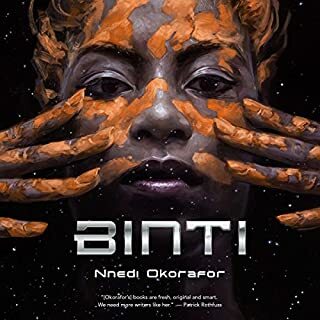 Anika Noni Rose is a perfect narrator for this phenomenal story, and Older's fantastic story telling will keep you hooked all the way to the end and thirsty for the yet to be released third book in the series. Shadow shapers allow my imagination to run wield. It’s so interesting and exciting. Anika’s performance is amazing. This series keeps you on your toes. I can not wait for the next one. The reader/ performance of this book was hands down in my top 3. I was hooked from the beginning. It's pace was perfect. I loved that you really didn't need to have read the 1st book. This second book was a stand alone story; but synched wonderfully if you had read the first. The world created by the auther would make a great television show. I would even switch over to Univision to watch (with English closed captioning of course). This was a great next story to the first one. 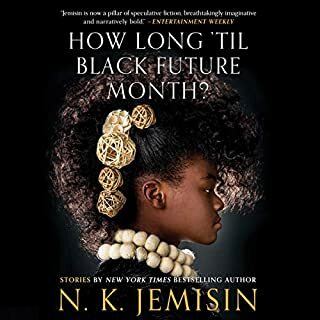 I enjoyed the first book just a little more because this one seems to be trying to evolve our knowledge of this world quickly and stretch it a bit further. For me the first one was less of a leap to buy into than this one, but I found myself wanting to know more either way. The narration is amazing. Anika Noni Rose's performance makes it a great listen and enhances the story more than if I was just reading it. I hope to see more performances by her in the future because I would check those books out just because she's the narrator. 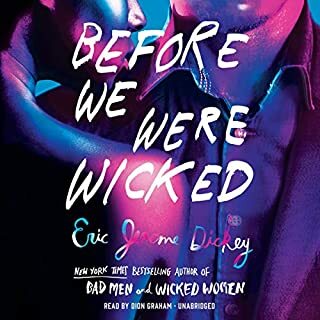 I loved it, look forward to book three!! I feel like it was my girlfriend's story and she inducted me too.